For years, Marin General Hospital has offered good health benefits to attract top quality caregivers and compensate them for not offering top-of-the-line salaries. But as contract negotiations appeared to be winding down on a new contract for NUHW-represented imaging technologists last year, management suddenly issued a new demand: the caregivers would either have to pay hundreds of dollars a month to keep their insurance or accept a new HMO plan that would force many to find new doctors and travel farther for hospital care. 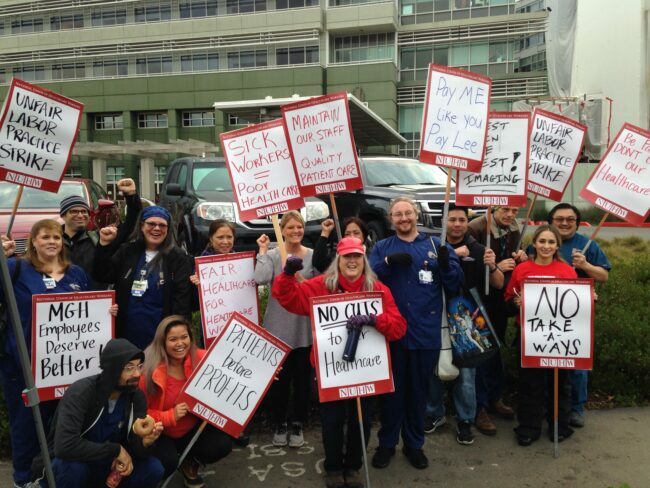 On Friday, Feb. 1, more than 100 workers represented by NUHW and Stationary Engineers Local 39 held a strike to protest the hospital’s proposal. 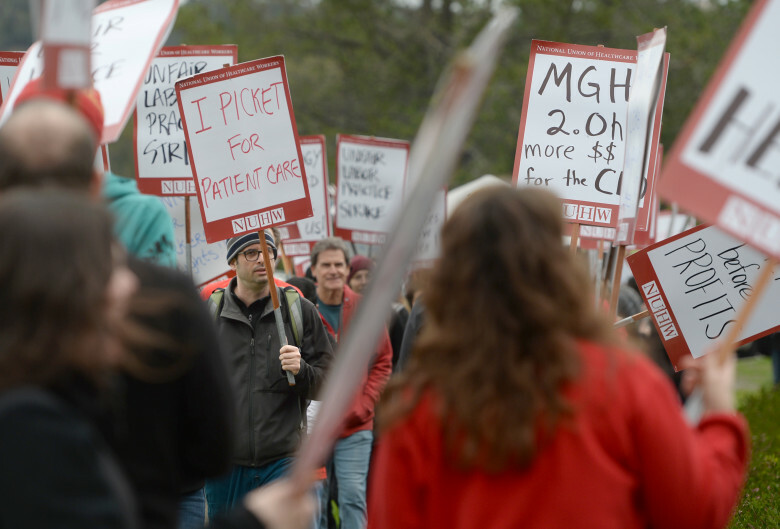 Nurses and other hospital workers, who fear they will face the same takeaway demand when their contracts expire, marched with strikers on the picket line. Under management’s proposal, workers would pay more than $100 dollars a month to insure themselves and nearly $400 a month to insure their families. “They’re asking us to go from zero to very high cost overnight, and they’re not going to give us fair wages to compensate for that,” Ali Williams, an ultrasound technologist told KRON4. Workers unwilling to pay more to keep their PPO insurance plans could opt for a cheaper HMO, but the new plan wouldn’t include many local doctors or hospitals. Williams, who lives in Petaluma, told the newspaper that joining the HMO would likely require her to travel south to Marin, farther north or into the city if her family needed to visit a hospital. Deborah Savino, an MRI tech at Marin General for more than 16 years, noted that Marin General is threatening employee health care benefits after reporting a $17.7 million profit in 2017, the last year for which records are available.